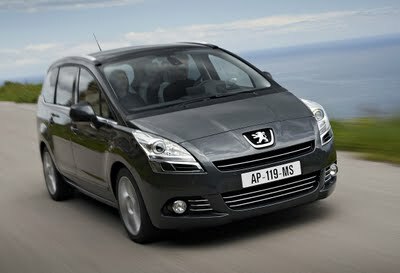 Peugeot 5008, a new MPV 7 seater, reported set to launch in Indonesia. The vehicle that first time launched in London last year, confirmed about to launch on November 26 by the Indonesia Peugeot authorized dealer, PT Astra International Peugeot. The premium car set to bring in Indonesia is packed gasoline engine 4-cylinder 1.6L twin-scroll turbocharger that capable of generating max power 156 hp at torque 240 Nm. The acceleration of this car is 0 - 100 kpj in 8.9 second. Peugeot 5008 that come in two types, which are Premium and Premium Pack, meets Euro5 standard emission and take fuel consumption for only 14.0 kpl. Actually, this car owns three engines variant which are 1.6L gasoline with 120 bhp, 1.6L gasoline with 150 bhp and 1.6L diesel. In UK, Peugeot 5008 sell with price about 15,000 poundsterling (240 million rupiah) but there is no information price in Indonesia.